Over the past year or so I’ve become increasingly grossed out by large slabs of meat. Especially at a restaurant when they bring out said slab of meat and the outside is nice and brown but you cut in to it and it’s practically still mooing. Blah. Well now with the lovely CulinaryPrep food sanitizer you can practically eat the meat raw as it is so kind to help “sanitize” your food. 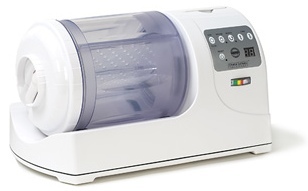 Supposedly it removes up to 99.5% of all food borne bacteria and germs. The “up to” part is what makes me a tad uncomfortable…meaning it only might remove all the nasties from your meat. Or it might not. The Culinary Prep will set you back about $400. I don’t plan on putting a slab of meat in a little kitchen gadget to “clean” it any time soon. Airport security really is a joke. Most of the questions they ask you are completely redundant or if you really did “accept anything from a stranger and put it in your bag” then you deserve a punch in the face. 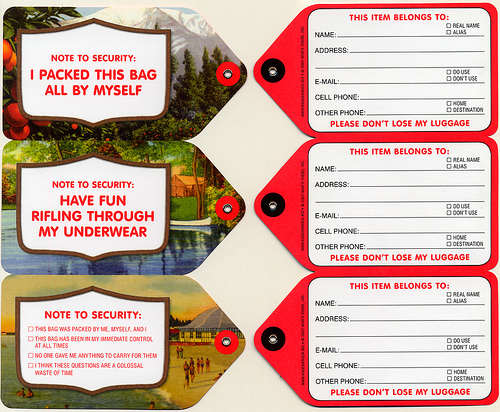 Apparently Target was selling this set of luggage tags in the past couple of months that are really quite humorous. Now if only I could find them somewhere…though you’re probably asking for your bag to get searched by putting these things on. There are so many different mediums with which art can be created. Everything from pen to pencil to paint to clay and thousands of other things. Justine Ashbee has chosen the Sharpie as her main tool. She creates massive complex pieces of art using only Sharpies. Many times she only uses black and she never uses more than a simple canvas and her markers. Everything is freehanded without rulers or guidelines. 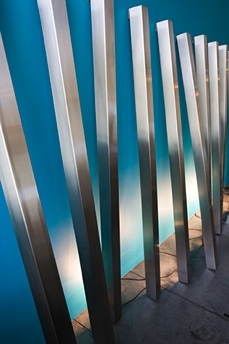 Her pieces have a mysterious lifelike quality that almost make them seem like they are in motion. People get pretty trigger-happy when it comes to suing companies for their own clumsiness and spilling hot beverages on their laps. 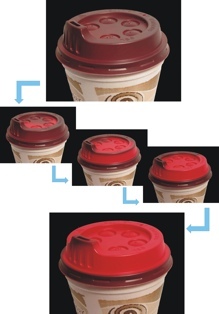 Now Smart Lid Systems has created a nifty little “gadget” of sorts that make it obvious when the drink is hot. Just pour in the hot beverage (coffee, hot chocolate, hot tea, etc), snap on the lid, and immediately see the color change from a dull brown to a bright red color. The rim of the lid even stays brown to work as an indicator of if you have the lid fully attached. Genius! The lid has multiple patents and has won a few different food related awards for their product. Hopefully in the next couple of years we’ll see this technology becoming more common! The Gus Lightstick is over 6 feet of shiny metal with one single light bulb that creates a unique mood not achievable by any other lamp. It has no set base so it can easily be placed in any orientation you’d like, letting you do pretty much anything you can imagine. It’s currently available at Rose and Radish for a little over $200 (which is 60% off the retail price). 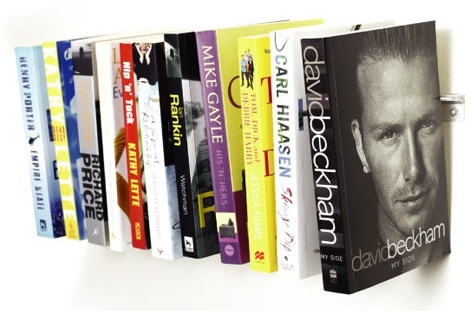 Amaze your friends and family with Invisible Shelving by Sticklebook! The invisible shelving system uses a series of comb-like hangers to give the appearance that your books are just magically connected to the wall! It seems it really only works well for paperback books but nonetheless is quite useful! It is available at Shop Until for around $32.